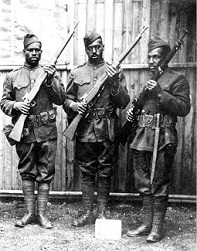 "The Soldier is required to practice the greatest act of religious training - Sacrifice." 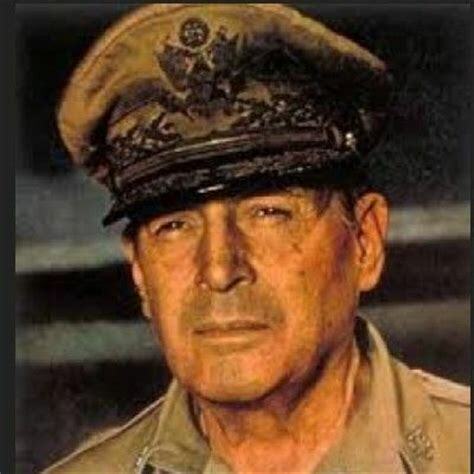 General MacArthur - Veterans Day. 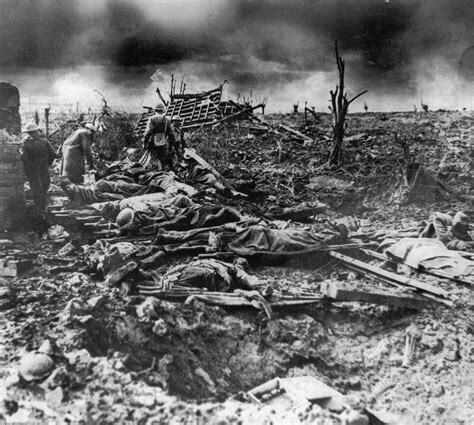 Though the Armistice was signed at 5:00 AM on NOVEMBER 11, 1918, the fighting continued till 11:00 AM, killing nearly 11,000 more men. 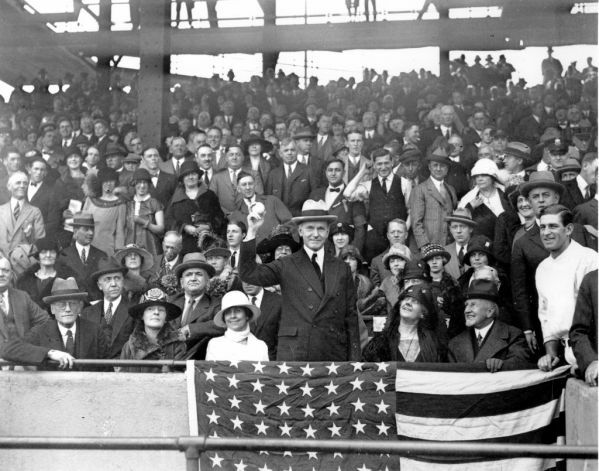 In 1921, President Warren Harding had the remains of an unknown soldier killed in France buried in the T omb of the Unknown Soldier at Arlington Cemetery. 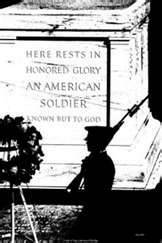 "Here rests in honored glory an American soldier known but to God." let them gaze upon this monument and other like memorials that have been reared in every quarter of our broad land. 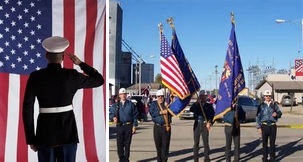 Let them look upon the representative gatherings of our VETERANS, and let them remember that America has dedicated itself to the service of God and man." 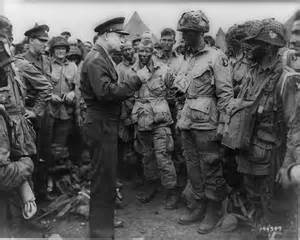 "The soldier, above all other men, is required to practice the greatest act of religious training - sacrifice. No physical courage and no brute instinct can take the place of Divine help which alone can sustain him. 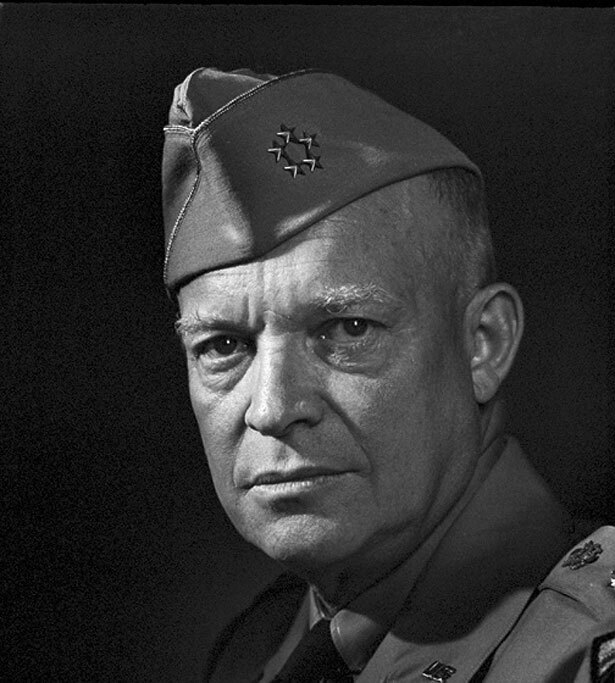 However horrible the incidents of war may be, the soldier who is called upon to offer and to give his life for his country is the noblest development of mankind." 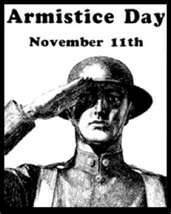 Armistice Day was changed to VETERANS DAY in 1954 to honor all who have served defending the United States. 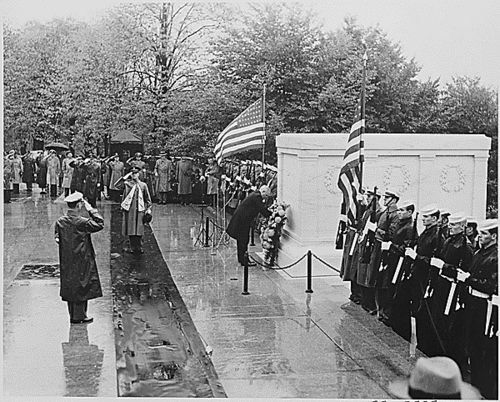 In 1958, President Eisenhower placed soldiers in the Tomb of the Unknown Soldier from WWII and the Korean War. 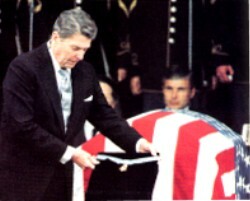 In 1984, President Ronald Reagan placed a soldier from the Vietnam War in the tomb. DNA test later identified him as pilot Michael Blassie, a graduate of St. Louis University High School, 1966, and the U.S. Air Force Academy, 1970. Flying an A-37B Dragonfly, he was shot down near An Loc, South Vietnam. In 1998, Michael Blassie was reburied at Jefferson Memorial Cemetery in St. Louis, Missouri. 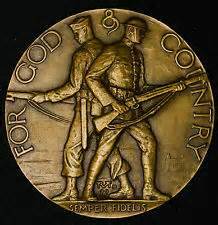 I can sense the prayers of our people, of all peoples, that this Armistice Day shall mark the beginning of a new and lasting era of peace on earth, good will among men. Let me join in that prayer. 'Our Father who are in heaven, hallowed be Thy name. Thy kingdom come, Thy will be done on earth, as it is in heaven. And lead us not into temptation, but deliver us from evil, for Thine is the kingdom, and the power, and the glory, forever. Amen.'" "As a former soldier, I am delighted that our VETERANS are sponsoring a movement to increase our awareness of God in our daily lives. 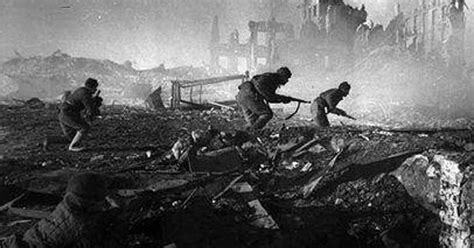 In battle, they learned a great truth-that there are no atheists in the foxholes. They know that in time of test and trial, we instinctively turn to God for new courage and peace of mind. All the history of America bears witness to this truth. 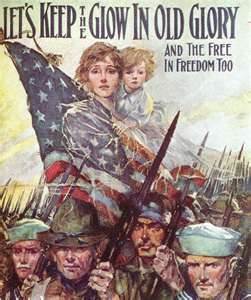 Out of faith in God, and through faith in themselves as His children, our forefathers designed and built this Republic ..."
"We remember the picture of the Father of our Country, on his knees at Valley Forge seeking divine guidance in the cold gloom of a bitter winter. 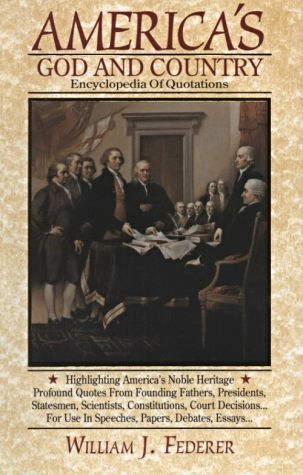 Thus Washington gained strength to lead to independence a nation dedicated to the belief that each of us is divinely endowed with indestructible rights. We remember, too, that three-fourths of a century later, on the battle-torn field of Gettysburg, and in the silence of many a wartime night, Abraham Lincoln recognized that only under God could this Nation win a new birth of freedom ..."
"Today as then, there is need for positive acts of renewed recognition that faith is our surest strength, our greatest resource. This 'Back to God' movement is such a positive act. Whatever our individual church, whatever our personal creed, our common faith in God is a common bond among us. In our fundamental faith, we are all one. 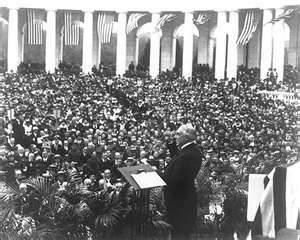 Together we thank the Power that has made and preserved us a nation. By the millions, we speak prayers, we sing hymns-and no matter what their words may be, their spirit is the same- 'In God is our trust.'" "The Founding Fathers expressed in words for all to read the ideal of Government based upon the dignity of the individual. That ideal previously had existed only in the hearts and minds of men. They produced the timeless documents upon which the Nation is grounded and has grown great. 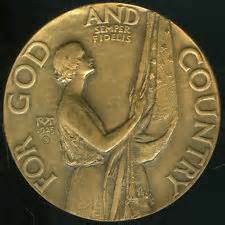 They, recognizing God as the author of individual rights, declared that the purpose of Government is to secure those rights. To you and to me this ideal of Government is a self-evident truth. But in many lands the State claims to be the author of human rights ..."
"The tragedy of that claim runs through all history and, indeed, dominates our own times. If the State gives rights, it can - and inevitably will - take away those rights. 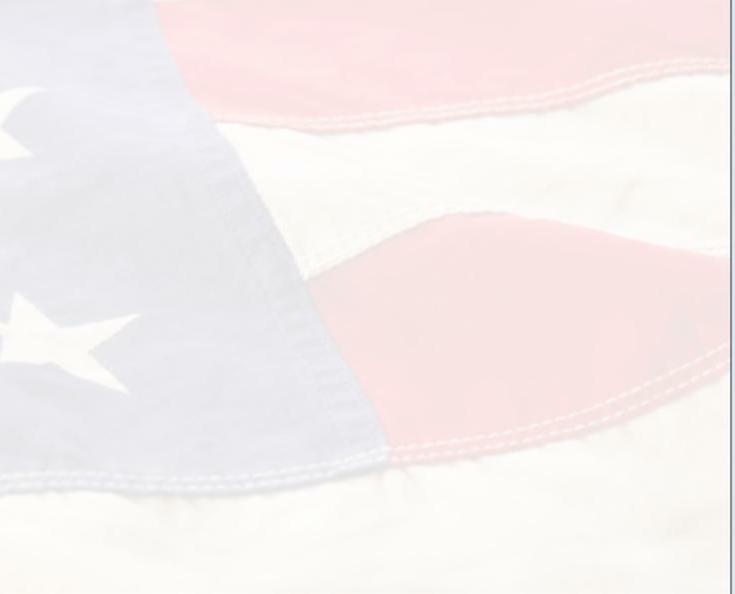 Without God, there could be no American form of Government, nor an American way of life. Recognition of the Supreme Being is the first-the most basic-expression of Americanism. ... 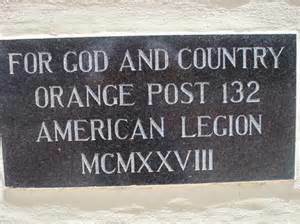 Thus the Founding Fathers saw it, and thus, with God's help, it will continue to be. 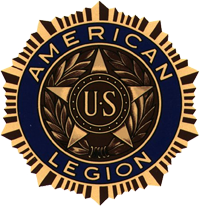 It is significant, I believe, that the American Legion - an organization of war VETERANS - has seen fit to conduct a 'Back to God' movement as part of its Americanism program. 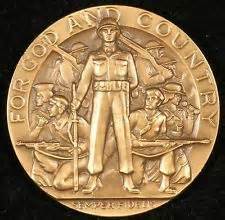 VETERANS realize, perhaps more clearly than others, the prior place that Almighty God holds in our national life. And they can appreciate, through personal experience, that the really decisive battleground of American freedom is in the hearts and minds of our own people ..."
secure in their God-given rights and in full control of a Government dedicated to the preservation of those rights." Now Dr. Lowry said something about my having certain convictions as to a God in Heaven and an Almighty power. It seems to me that this relationship between a spiritual faith, a religious faith, and our form of government is so closely defined and so obvious that we should really not need to identify a man as unusual because he recognizes it ..."
"Milton asserted that all men are born equal, because each is born in the image of his God. when you come back to it, there is just one thing ... man is worthwhile because he was born in the image of his God." Democracy is nothing in the world but a spiritual conviction, a conviction that each of us is enormously valuable, because of a certain standing before our own God. 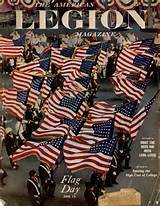 Now, any group that binds itself together to awaken all of us to these simple things ... is, in my mind, a dedicated, patriotic group that can well take the Bible in one hand and the a flag in the other, and march ahead."